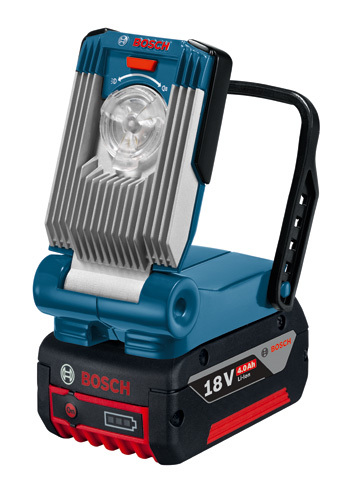 The Bosch GLI18V-420B 18V Max Worklight provides the brightest worklight (420 lm) in its class, with three dynamic, innovative LEDs. 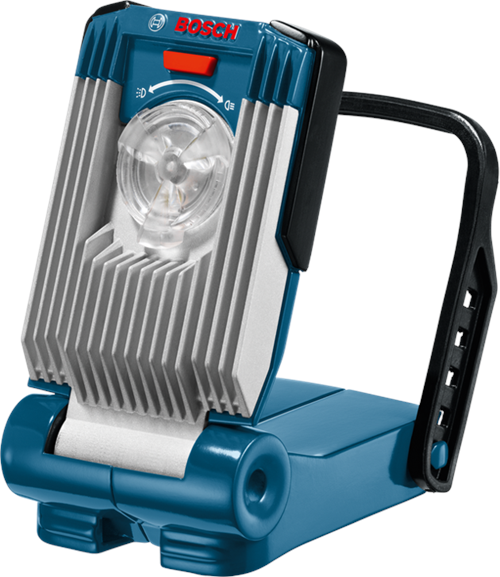 The GLI18V-420 provides a dial to adjust the light diffusion. 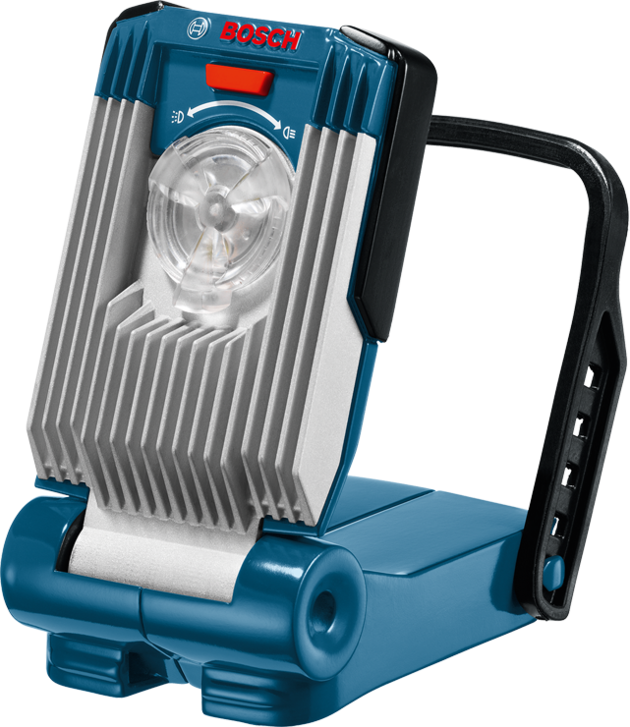 Users are able to shine a high-intensity spotlight on a specific are where they need it. Or they can turn the dial for a diffuse flood light to brighten a larger area. 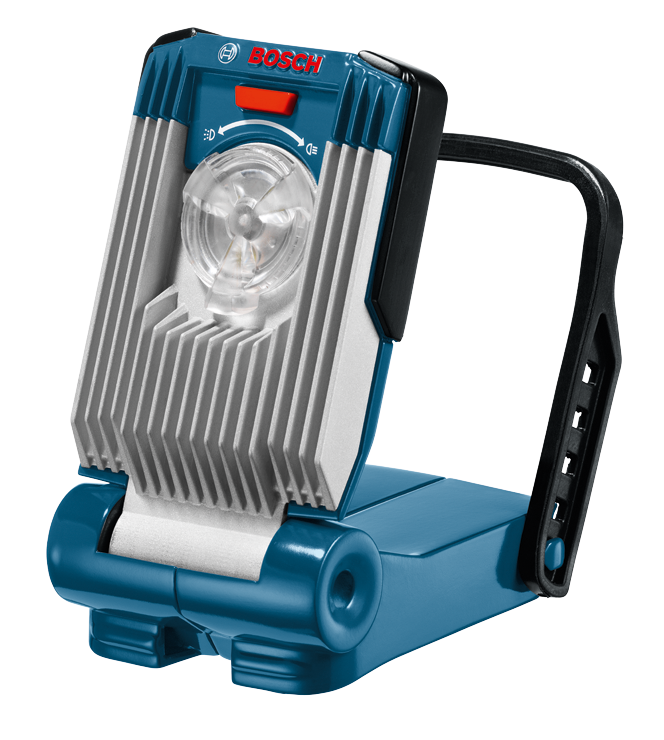 Its swiveling stand and a hard rubber mounting strap provides countless ways of positioning and directing the light, to illuminate any hard-to-reach work area. 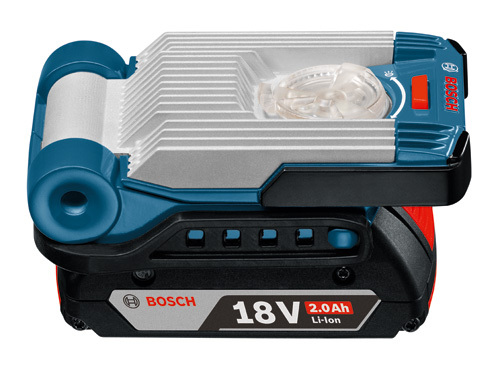 It boasts an extreme runtime, and, depending on the battery capacity, can run up to 13.5 hours on a 6.0 Ah 18 V battery (not included). 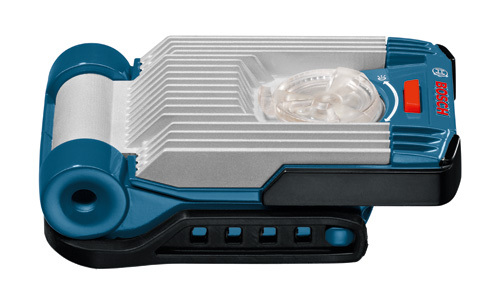 The unit is extremely robust, due to its tough housing and aluminum heat sink.